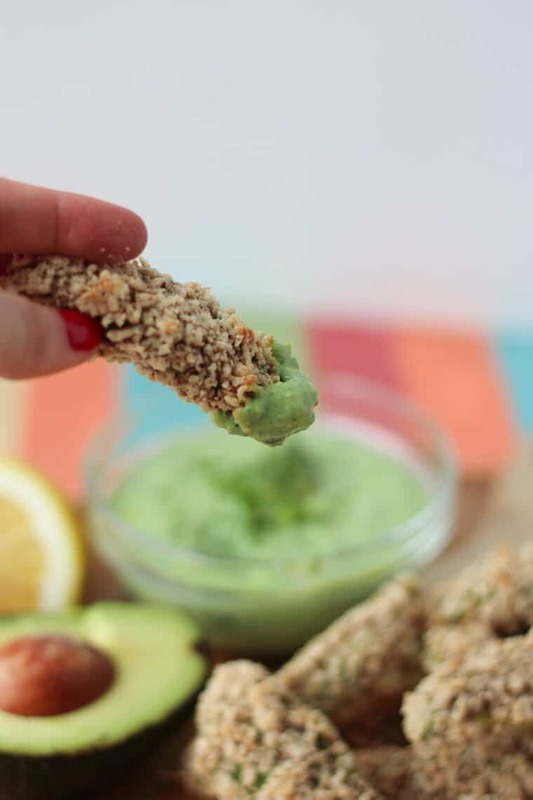 These vegan gluten free Baked Avocado Fries with Green Goddess Protein Dip is a vegan, gluten free appetizer perfect for St. Patrick’s Day! Avocados are officially the world’s most loved fruit. 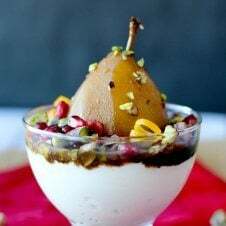 Yes, even more popular than raspberries and way trendier than bananas. I’m personally obsessed with avocados and will always look for new ways to throw them into my life. These Vegan Gluten Free Baked Avocado Fries with Green Goddess Protein Dip are officially my new favourite way. They’re super green and perfect for a St. Patrick’s Day party as a vegan, gluten free appetizer that’s WAY better for you than the usual pub fare. Why Avocados? Really, that’s a legitimate question? Well, for one, avocados are green like the Irish! For two, they’re packed with healthy monounsaturated fats and vitamins. And most importantly, they’re magically delicious. Avocado is inherently super buttery, creamy and soft, so battering it up in a high fibre, gluten free crispy crunchy crust is a recipe for the best of all worlds. Smooth meet crunchy. Happy meet Abbey. See, we’re all good friends. 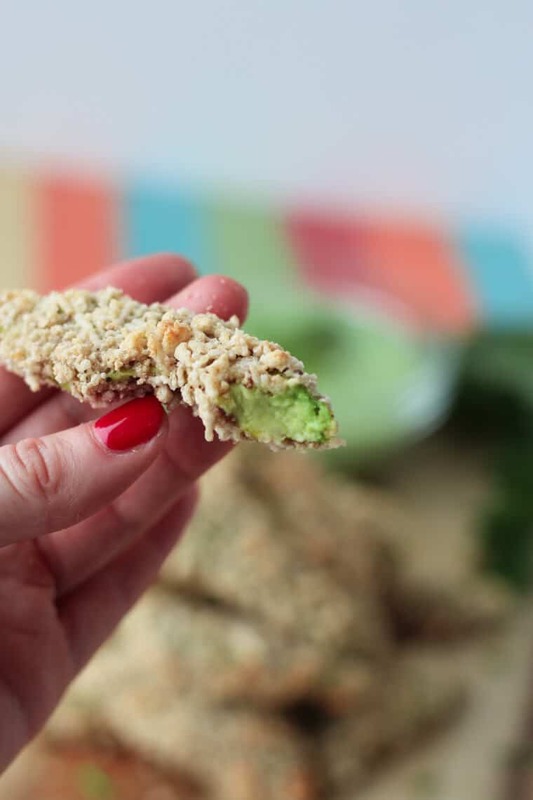 How to Make Vegan Gluten Free Baked Avocado Fries Super Crispy! Yes, I know, this recipe is kind of genius and it starts with a flax egg as a vegan binding replacement for eggs. I’m not vegan, and I do love eggs, but a flax egg is a great way to add protein, fibre and healthy fats to your dish and it’s completely plant-based. I then use Chex cereal, pulsed into crumbs to make a gluten free panko alternative. I actually love Chex for eating, so this totally made sense. Then, we need something to dip and it wouldn’t be St. Patrick’s Day without this wicked green goddess protein dip. I whip together high protein soft tofu with lots of fresh herbs, lemon and garlic to yield a tangy, herbaceous accompaniment to my crispy baked avocado fries. This combo is a perfect healthy, vegan, gluten free appetizer for your St. Patrick’s Day parties that isn’t deep fried and swimming in oil. Now, I want to know, what are you planning to make for St. Patrick’s Day? 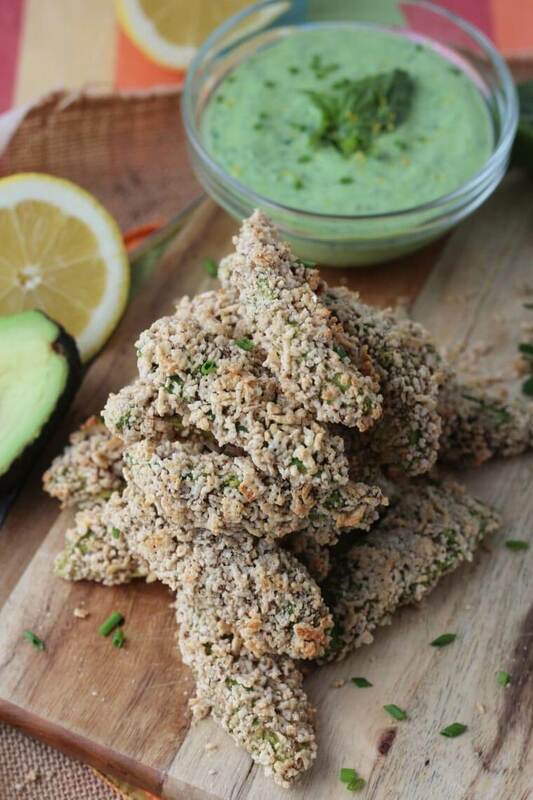 Have you fried these Vegan Gluten Free Baked Avocado Fries with Green Goddess Protein Dip? 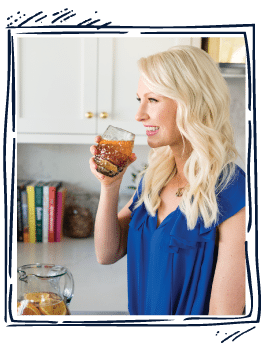 Are you a total avocado fan like me? How to you like to eat your avocado? Preheat an oven to 450 F and line a sheet pan with a nonstick cooking mat or parchment paper. Prepare three bowls. Mix the oat flour, cumin, chili, salt and pepper in one bowl and set aside. In the next bowl, mix the flax and water and set in the fridge to thicken for 15 minutes to make a “flax egg”. Add the chex cereal to the food processor and pulse into panko-like crumbs, then transfer to the third bowl. Dip the avocados into the oat mixture, then the flax egg, then the Chex cereal mixture. Place on the baking sheet and bake for 15 minutes until lightly golden brown, turning once half way through. Sprinkle with a pinch of fleur de sel. Meanwhile, place the tofu, garlic, lemon juice, chives, basil, parsley, Dijon, and maple syrup in the food processor and puree until very smooth. 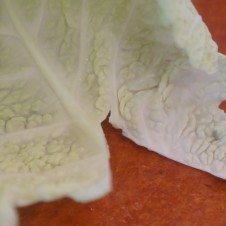 Season with salt and pepper, to taste and set aside. 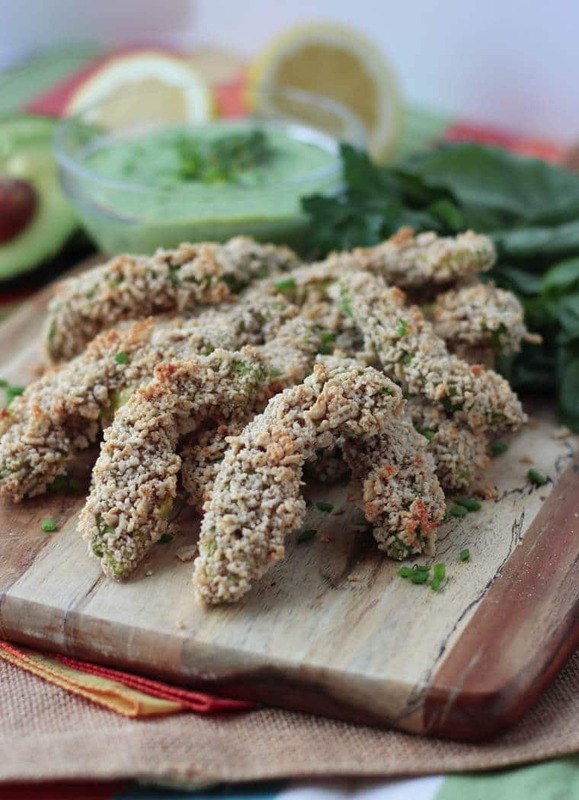 Serve the avocado fries with the dip and enjoy. 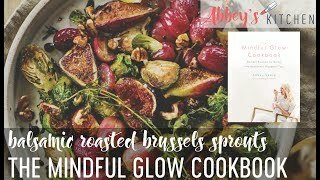 You always seem to have the most amazing recipes on here. These look delicious! 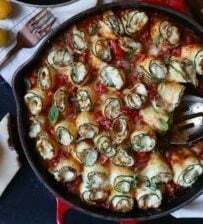 Oh my goodness, what a creative recipe! Love it. This would be one way I’d want to go green for St. Patty’s day! 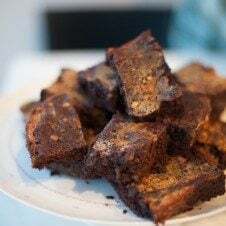 They look super crunchy and delicious! i love avocado fries in my tacos but i could totally see this happening. i love the idea of chex for extra crispiness! My whole family loves avocados. They’re a staple in our house. I think I’ve only ever had avocados in guacamole and salads. I never would have thought to bake it. This is genius. These are so creative! I’ve had trouble finding St. Patrick’s day snacks for my good-sensitive homeschool co-op…the other mamas will love this! Lol, food-sensitive. Hi there, autocorrect! How creative to use cereal for the breading. I love baked avocado! You had me at “avocado.” So yum. Always. Omg YUM! I think you just took my two favorite foods (avocado and fries) and made the best recipe ever! haha I’m definitely going to try this! I love me some avo! I’ve never tried fries like this, but I use chex cereal (and a few potato chips) to make a gluten free coating for chicken fingers that’s so yummy. I can just imagine biting into these now. 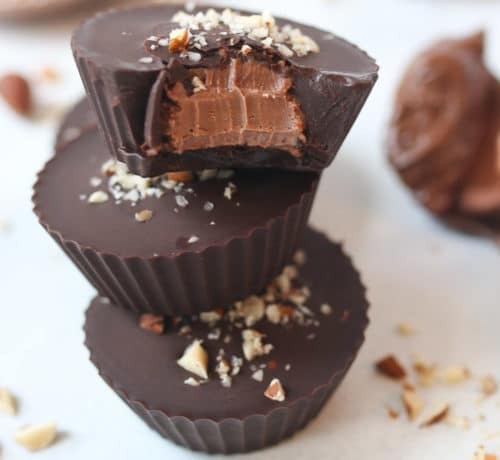 Crunchy on the outside and silky smooth on the inside. They look amazing!